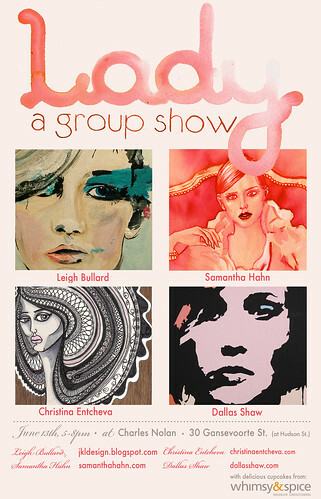 “Lady” a group show sneak peek! 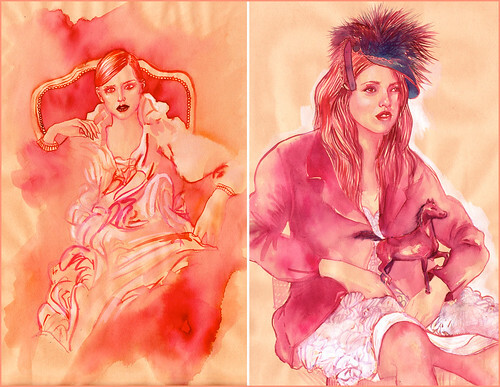 I’m excited to give you a little sneak peek of some of the work I’ll be showing in a group show entitled “Lady” with fellow lady illustrators: Dallas Shaw, Christina Entcheva, & Leigh Bullard. We’re all inspired by the female form and our work is heavily inspired by fashion so we’re having the show at the fabulous Charles Nolan flagship store in NY. Save the date, the show is June 13th from 5-8. We’ll tell you more about it soon….but we just couldn’t wait to tell you and show you our poster. I did the hand lettering and design of the poster/card which was really fun considering I got to admire all of these talented ladies fine work! check their sites out. 12 Responses to “Lady” a group show sneak peek! Love, love, love!!!! And definitely plan to attend. this is AWESOME, Sam! It’s on my calendar- can’t wait! What a great show theme! I wish I could go see it! Thanks….so much more to do before the show! Eek. i found you through Leigh’s website – you two are amazing artists!! Thank you so much Alison. I love Leigh’s work also, and am excited to be doing a little show together!